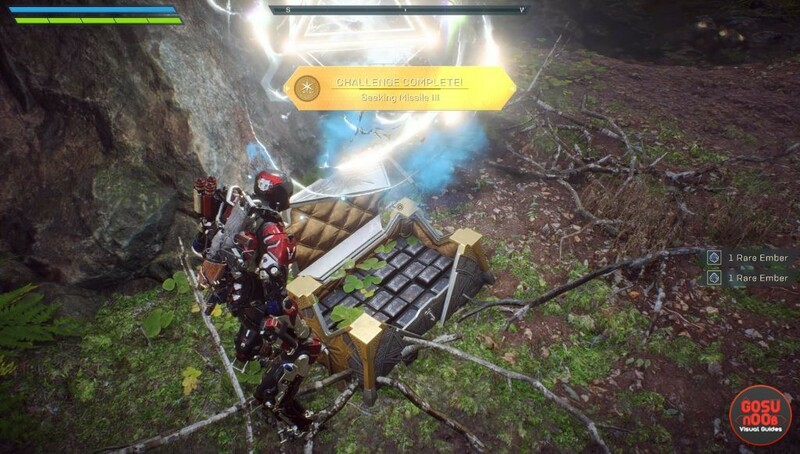 Embers are crafting materials in Anthem. They’re used in pretty much every recipe in the game, so you’ll probably want to amass as many as possible as quickly as you can. There are four tiers of rarity, all used in blueprints of different levels – regular, uncommon, high, rare and epic. There are reliable ways to get moderate amounts of them constantly, but there are also farming methods that’ll allow you to collect much more in a short time span. If you’re wondering how to get these ingredients, our Anthem ember farming guide will help you. The first way to get ember is something you’ll do either way – salvaging gear and weapons. Whenever you get a piece of equipment you don’t intend to use, you can salvage it. You’ll get crafting materials, including embers, and free up some inventory space. You can also get them by harvesting plants, so make sure you investigate the local shrubbery thoroughly. If you really want to farm embers, your best bet would probably be completing world events. For instance, there’s one that appears in Tarsis Falls, takes around three minutes to complete and usually rewards you with a chest holding a couple of pieces of ember. When you spawn, head right through the Memorial Gate cave, and you should spot it right away. Ignore the monsters as much as possible and collect the six Shaper Fragments for arcanist study. After you’ve completed the event, a marker will lead you towards the chest. There will almost certainly be more ways to get these, and other great farming spots, but this is all we managed to discover in the demo. Once the full game is released, we’ll update the guide with the new info.